The days when people used to think that open source community comprises of hackers and pirates are long gone now. In the previous years, there has been a lot of acceptance for the open source community. The manufactures of mobile phones and Smartphone, on a world-level are welcoming the resources that can aid them in the app development. This is main resource by Apple. Those developers who have registered themselves with the Apple can access iOS SD4 so as to develop their iPhone’s touch apps. This also serves as the platform that helps in advancement of skills of iPhone app developers to the next level. By using iPhone Dev Center a developer also remains connected with the latest news of app development market. This is a platform that belongs to a third party and which is based on web browser. 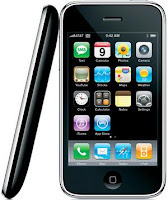 This helps in providing with rapid testing of web applications used by an iPhone. This resource works well with IE, Safari and Firefox browsers. iPhone WebDev Resource Center is a great website resource for the developers who are like minded and wish to share their ideas and thoughts. The developers’ community on this platform helps one another in creating the best web apps for iPhone. New users just require going through the one-time registration. Not just any other blog but Gigaom Blog is a very popular blog where discussions regarding new developments and challenges in iPhone app development are highlighted. This is a free-to-view blog and can be accessed to have a better knowledge of the app development by users as well as developers. XCode iPhone Tool is a resource for iPhone app development that helps in integrating editing of source code. This further helps in compiling procedural steps for the graphical debugging experience. It comprises of XCode IDE, performance analyzing tools, OS framework bundles and the iPhone simulator. Registered Apple Developers can down this one for free. This one will collect for developers the best iPhone resources such as wallpaper icons, news on iPhone development and other iPhone applications. A must have resource for all app developers. Nancy Rorie is a gadget blogger from China who do research on latest iPhone accessories, iPhone cases and write about them on his blog.